Let us use our knowledge of the law to find your best solution. Alison K. Spencer, Principal and Lead Attorney, is an intuitive lawyer who knows her way around a corporate conference table, and uses extensive trial experience to anticipate and navigate through a range of legal difficulties. For legal help with your business or personal matters, SPENCER LAW has attorneys committed to helping you find your best solution. Ms. Spencer is a 1997 graduate of Baylor University, receiving her Bachelor of Arts degree with a double major in Journalism and Religion. 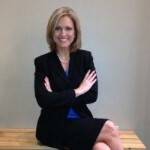 She is a 2003 graduate and alumni of South Texas College of Law in Houston, Texas, holding a Doctor of Jurisprudence. She has been a member of the State Bar of Texas since 2004. Ms. Spencer has been a long-time member and served on the Board of Directors of the Baylor University Woman's Association of Houston, and she is the 2015-2016 Vice President of Philanthropy for that organization. Further, she is the founder of ﻿Voce Ministries﻿, an organization established to train and encourage women to recognize, respond and support other women suffering abuse, and to aid in their healing. The Spencer family are native Houstonians. If you need legal help and would like to schedule time to meet with one of our attorneys, please briefly describe your matter, and one of our representatives will contact you shortly with your appointment time. We look forward to hearing from you and helping you navigate your business or personal situation.